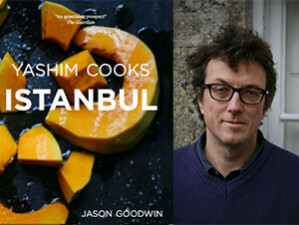 Join us for an evening of Turkish food cooked by Jason Goodwin, with recipes from detective Yashim’s culinary adventures in Istanbul. Jason will be preparing recipes from his book Yashim Cooks Istanbul, while talking us through the dishes. Aside from the deliciously prepared meal, this will be an intimate evening where guests will be able to converse with Jason about crime fiction, Ottoman history and Turkish food – and enjoy a glass of wine with a signed copy of the cookbook thrown in. 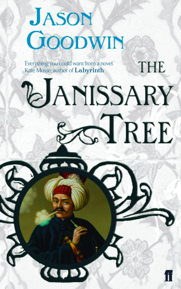 The Janissary Tree series will also be available to buy in the shop for the author to sign. Jason Goodwin: A historian and award-winning crime writer whose walk from the Baltic to Instanbul sparked a lifelong interest in Turkey. Lords of the Horizons: A History of the Ottoman Empire, was published to wide acclaim in 1999, followed by five novels in the Yashim series, the first of which won the Edgar Award for Best Novel. Jason is a passionate cook. He lives with his family in Dorset. Doors will open at 7:00 for a 7:30 start time. This is the inaugural event for Cooking with Writers.